PATNA: RJD president Lalu Prasad may be out of political scene currently cooling his heels in jail yet he continues to rule Bihar political scene. As such, his bête noire and deputy chief minister Sushil Kumar Modi has kept Prasad alive all these years. In other words, BJP leader Modi faces a sort of identity crisis without Prasad who was his boss during the days of his student politics, feel political experts. This may sound bizarre but it’s also a fact that Modi has kept on “remembering” Prasad in way or the other— either through ‘computer mouse’ or the pen. 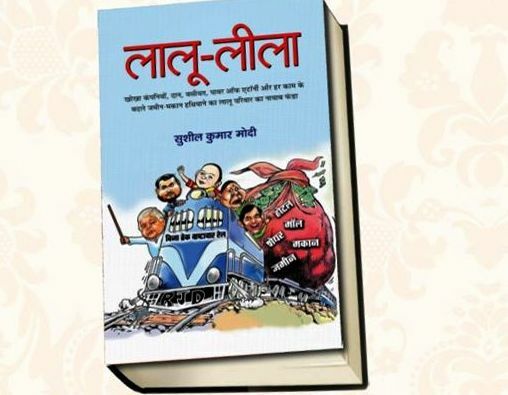 Apparently looking tired of tweeting too much about Prasad, Modi has now come out with a full book on the RJD president titled “Lalu Leela”. The book comes at a time fast when Prasad looks fast slipping into political oblivion with his 27.5 years of jail sentencing awarded to the RJD chief in the multi-million dollar fodder scam. In his book running into some 300 pages, the BJP leader has narrated in details the corruption cases against Prasad, latter alleged lust for money and his constant campaign against his rival leading to his jailing in the fodder scam. The book will be released on October 11 to mark the birth anniversary of Jayparakash Narayan, more popular as JP .